Online coaching has become incredibly popular over the past few years. The combination of another running boom and a technology boom transformed coaching. No longer is it restricted for in person only and no longer is it reserved for elites or collegiate athletes only. 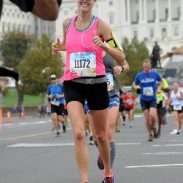 I’ve worked as an online running coach for over three years now. I built my business from scratch into an enjoyable and lucrative job. 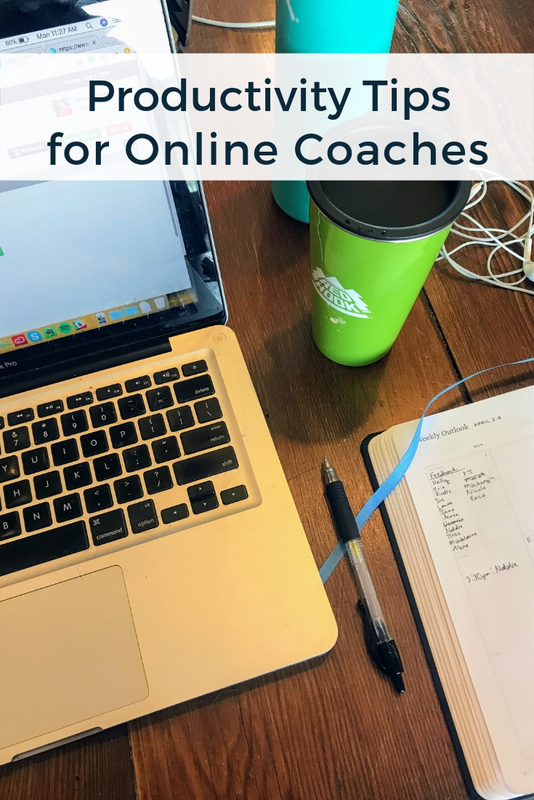 Now, I often receive questions from other coaches about how to become an online running coach. To be successful as a primary income, online coaching requires hustle, efficiency, and discipline. Productivity and prudent use of time are essential skills for handling a large client load, building your business, and avoiding burn-out from overworking. 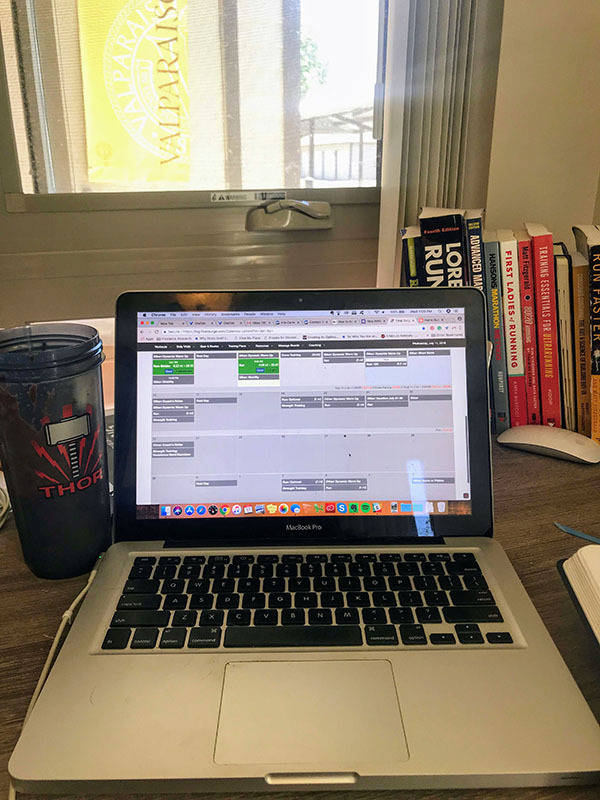 Today I’m sharing my top productivity tools for online coaching – items that have helped me build my business while still having time for family, my own training, and other hobbies. None of these items are sponsored nor am I affiliated with any of these brands. I switched from Google sheets to Final Surge a couple years ago. Since I coach upwards of 40 runners, Final Surge keeps me organized. 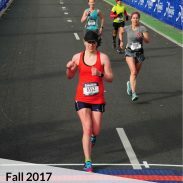 I can easily view all of my athletes, see who has uploaded workouts, read comments and Garmin data, and more. In my experience, it is far more user-friendly than Training Peaks and doesn’t add extra analytics. I can copy workouts, move days, and save workouts to my library (which is hugely helpful for ancillary items such as dynamic warm-ups and foam rolling). The app also allows me to check in on my athletes while out of town. Ever since a fellow coach introduced me to Calendly, it has been an essential tool for planning and organization. Calendly is a scheduling service that syncs with my Google Calendar. I input my available times (and can customize different times for different types of meetings), send the link to my client, and they can schedule the appointment. Calendly adjusts automatically for time zones, which is beneficial when I work with people everywhere from California and Seattle to Luxembourg and Belgium. I have used the Ink & Volt Planner for two years now. I absolutely love it. It’s designed with a focus on goals, growth, and organization – perfect for a coach and entrepreneur. The calendar pages are big enough to clearly write out daily tasks and appointments. The weekly and monthly goal pages really make this planner special. I’ll plan out my intentions for the week and month in addition to daily tasks. It is as important to focus on the forest as it is the trees. I gleaned this idea from Steve Magness & Brad Stulberg’s Peak Performance. In this book, they talked about optimizing productivity with short, deliberate rest. The idea stuck with me, especially as I observed dips in my productivity after a couple of hours in front of the computer. Instead of working non-stop until I need a break and slowing sliding into a distraction, I work in 60-90 minute blocks (or less, if schedule requires – a short time window can go a long way!). I set a timer on my Google Home Assistant (so I can easily see the timer without checking my phone), set my iPhone face down and just beyond arm’s reach, and only open relevant tabs on my laptop. For 60-90 minutes, my focus is only on working. After 60-90 minutes, I take a break. This break ranges from a 10-minute social media break to going for a run or to the gym for upwards of an hour. What this does is this forces me to be productive – without distractions. After about 90 minutes, my eyes tire of the computer screen and I lose focus. For me at least, it is easier to focus on working for 90 minutes than working until I complete certain tasks or tire out. To give an example, coaching feedback for my one-on-one athletes used to take the entirety of a Monday. This approach changed that and now I have more free time Monday afternoons for other work tasks, without sacrificing the quality of feedback. (If anything, feeling fresher with each work block means I give better feedback). This time block technique allows me to easily track my hours. When you run your own business, your time is money – and it’s important to know how much you are working when you set your rates. I don’t do this every day – I probably utilize this 80% of the time. I’m rigorous and disciplined but experience creative streaks. If I have a burst of creativity that lasts longer than 90 minutes, I keep working for a bit more. Are you interested in learning more about how to be a coach? I’m all about productivity tools given I write for/ about AllSeated for a living. 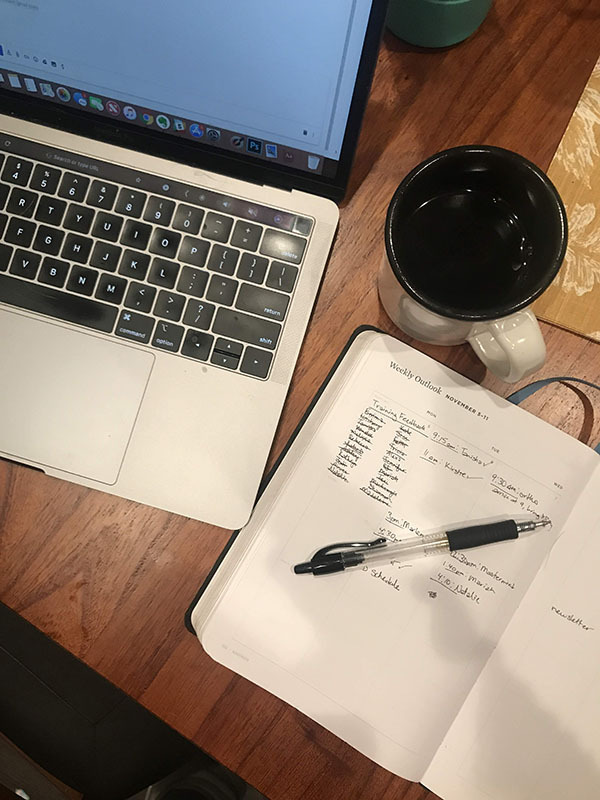 Even if that’s for the event business, I think across the board, we all need to learn how to use tools (especially digital tools) that make us more organized and efficient! I am big on working in blocks of time with rest in between, it really helps me to get up every so often and then come back to what I’m working on. Also! I didn’t get a new paper planner for this year but I think I still need a notebook near me even if I’ve gone basically all digital.